... nok en gang har de skapt musikk med evighetens stempel på seg. Få kan mane fram så sterke samklanger fra kontraster som disse to. Begge instrumentalistene sier de kan bli grepet av budskapet i sangene. A guitar and organ combine to set a Christmas mood in the Cathedral. On Night in December we sense the depths and heights of acoustics as music. Well-loved music praising the child in the manger caresses the walls and vaults of mighty Haderslev Cathedral. An atmosphere of night and peace imbues this album. 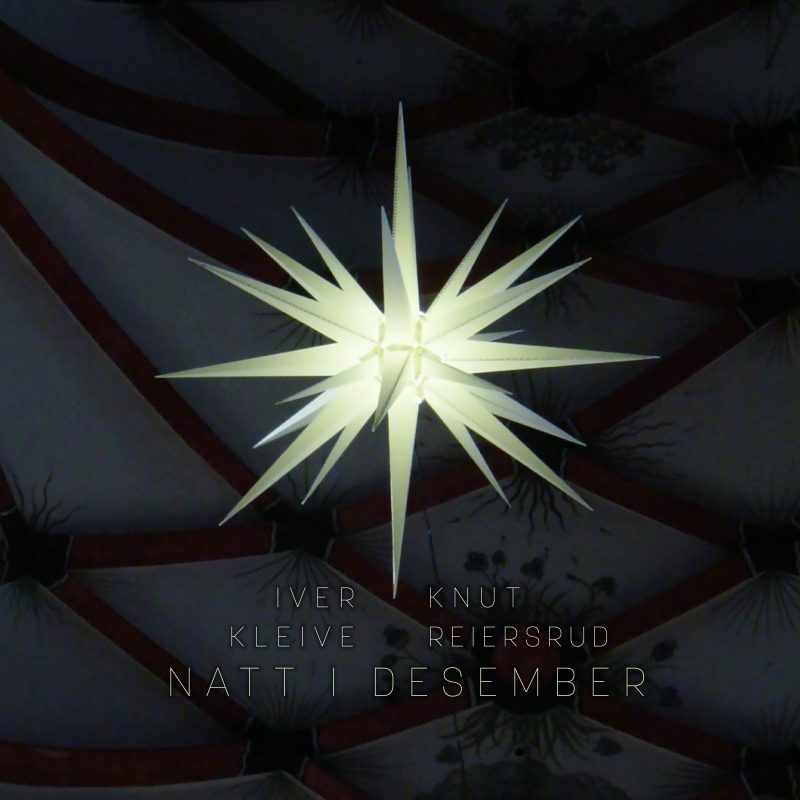 Iver Kleive (organ) and Knut Reiersrud (guitars and oud) have many years of experience playing powerful music in cathedrals. Many will remember their albums “Blå Koral” [Blue Choral], “Himmelskip” [Heavenly ship] and “Nåde over Nåde” [Grace over grace] as beautiful memorials to the long-standing clash of civilizations, between European church music and Afro-American rhythms and music traditions. Those three albums were recorded in Odense Cathedral on the island of Fyn in Denmark. Now comes the Christmas version of the same, with Yuletide moods created by familiar Christmas carols. This time the duo has moved to Haderslev in southern Jutland, where Marcussen Orgelbyggeri has installed one of their finest instruments in the city cathedral. In this organ the warm and sweet string voices are more prevalent than in Odense, but the sound quality is just as captivating. The repertoire includes “Kling no klokka” [Let the Bell Ring], “Deilig er jorden” [Beautiful Saviour], “Stille natt” [Silent Night], “Jeg synger julekvad” [I am singing a Christmas song] and “Jeg er så glad hver julekveld” [I am so glad each Christmas Eve]. The newly written “Minne om en svunnen jul” [Memories of Christmas of Yore] by Iver Kleive and a Yiddish folk song called “December in Prague” have also been included on this new Christmas album from KKV. The recording is by Alf Christian Hvidsteen and the producer is Erik Hillestad. Some kilometres outside Haderslev lies the Christiansfeld village where Kleive and Reiersrud stayed during the recordings in September. This village houses the Greyfriars community, founded by Dutch Moravian Brothers who fled here in the eighteenth century. They have specialized in making a very special Christmas star, which is shown on the cover of the new album.